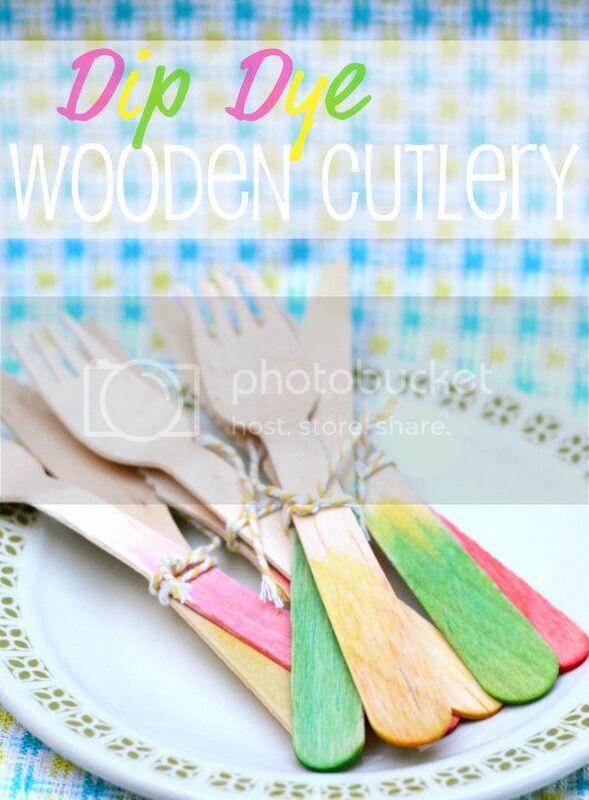 I acquired a ton of this 'disposable' wooden cutlery recently which was crying out for a fun and colourful makeover. With Emma's birthday approaching I thought it would be a pretty alternative to the usual plastic fare widely on offer. 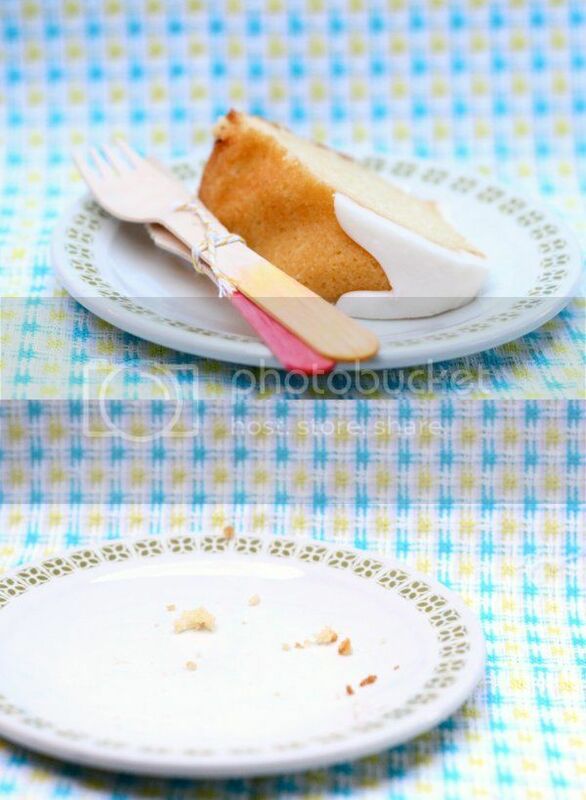 To ensure the cutlery would remain 'food safe' I used food colouring rather than paint or fabric dye for this project. You will be able to find this wooden 'eco' cutlery and most good party supply stores and some supermarkets. The rest of the materials you probably already have sitting in your cupboards. 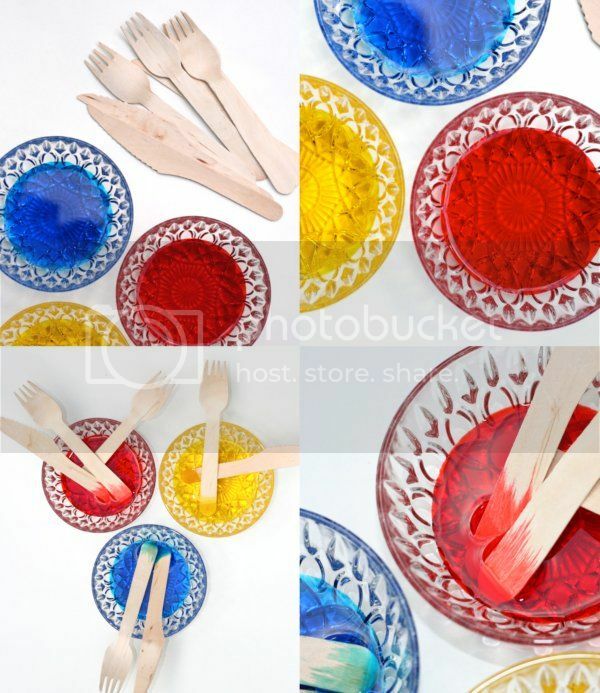 Liven up a party, barbecue, picnic or even lunchbox with these colourful eating accessories. 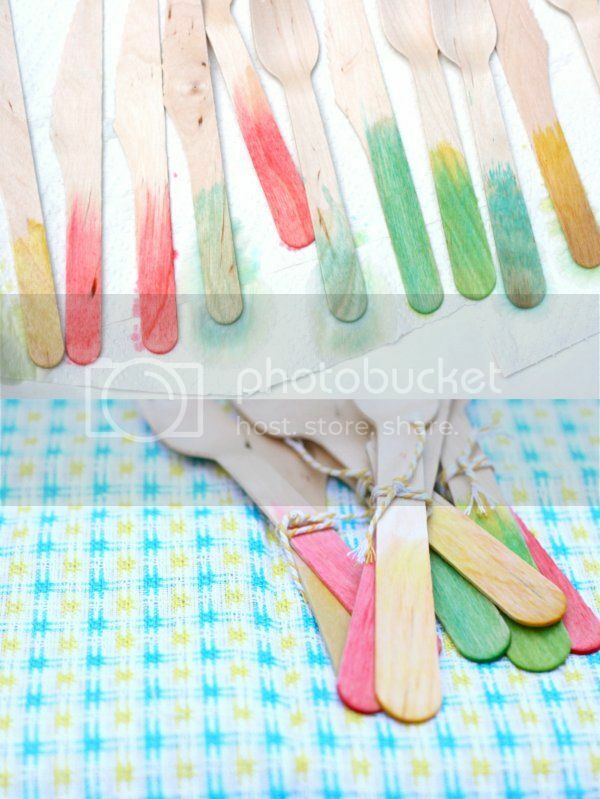 - Make up some strong solutions with your food dye and a little water. The stronger the solution the deeper the colour result. 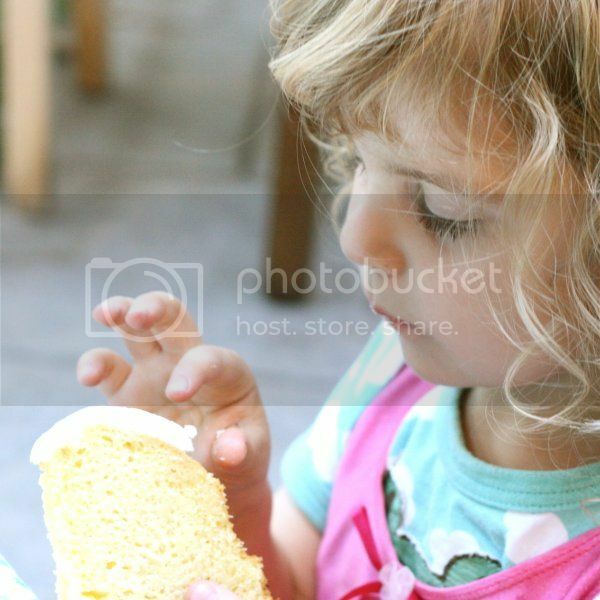 - Place the cutlery in the solution, it will be absorbed up the wood by capillary action. Get the kids to place bets on which will win the absorption race! - Once you are happy with the colour result, rinse off the excess dye on the handles under running water. We don't want our guests to go home with stains on their hands. - Allow to dry on some paper towel. Don't they just look so pretty?